They are aged in their 30s and 40s and were detained at Ballyfermot and Ronanstown Garda stations. TWO MEN ARRESTED on Wednesday after a bomb was found in a car on the Naas Road will appear in court tonight. The two men were arrested under the provisions of Section 30 of the Offences Against the State Act 1939 are expected to appear before the Special Criminal Court this evening. The men were stopped by gardaí from the Crime and Security section and the Special Detective Unit acting on intelligence on the Naas Road,inbound just before the Long Mile Road junction, at around 7.30pm Wednesday evening. Email “Men arrested after gardaí found bomb in car on the Naas Road to appear in court”. 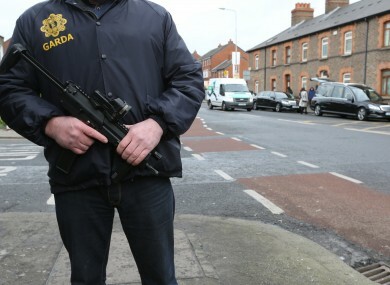 Feedback on “Men arrested after gardaí found bomb in car on the Naas Road to appear in court”.